Jenny Mills is particularly honoured to have been appointed to take on this contemporary office design for Interactive Africa. This is a company and brand that is at the nerve centre of innovation and creativity in Cape Town. 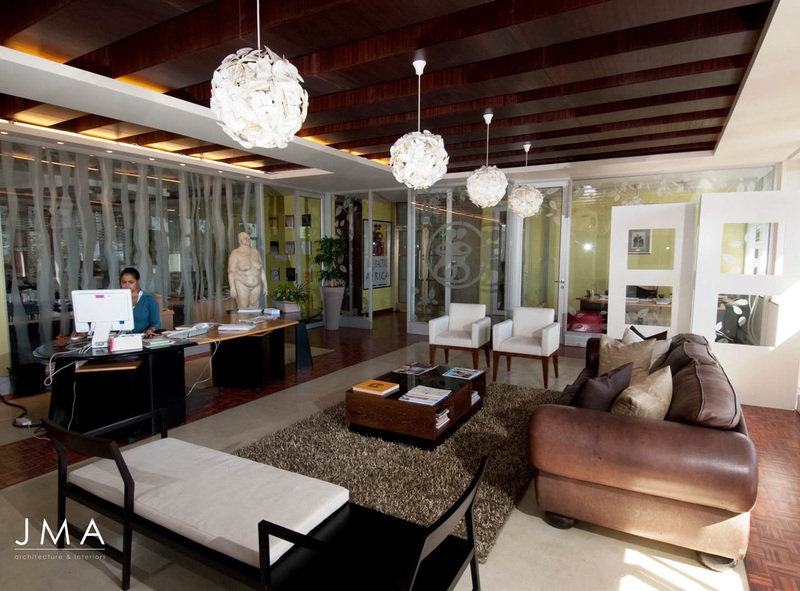 Their prestigious annual Design Indaba Conference is renowned throughout the design community worldwide. 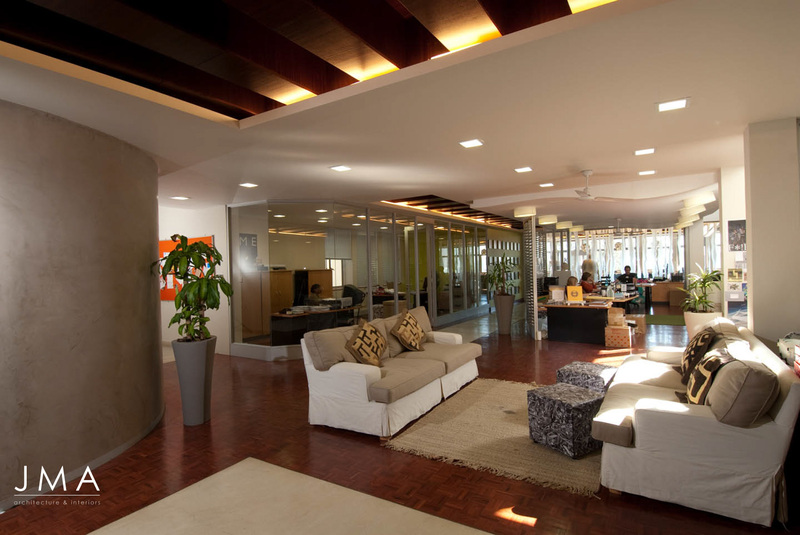 This energetic and creative company had to manage a fast move to occupy their new premises. 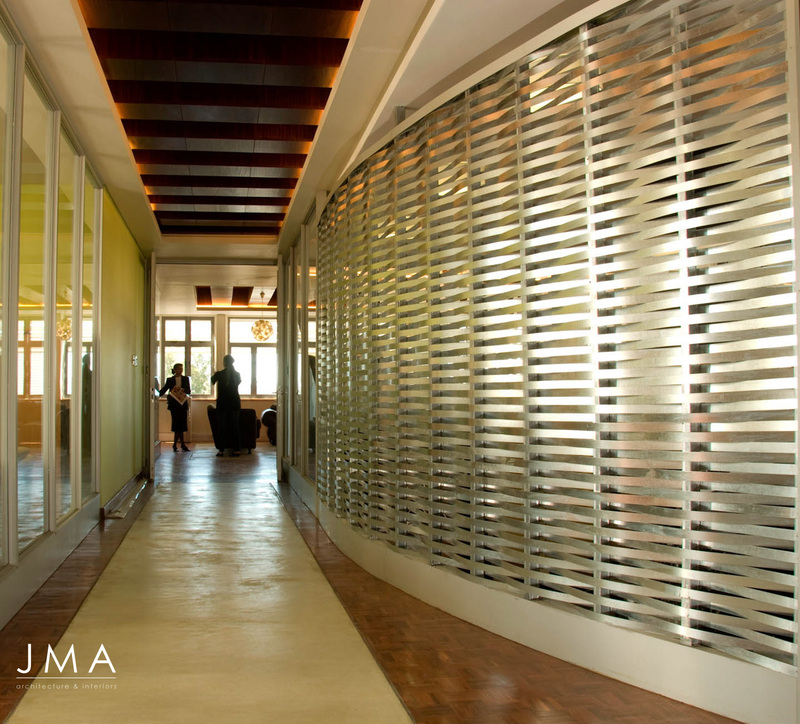 Emphasis was placed on open communication and interaction. 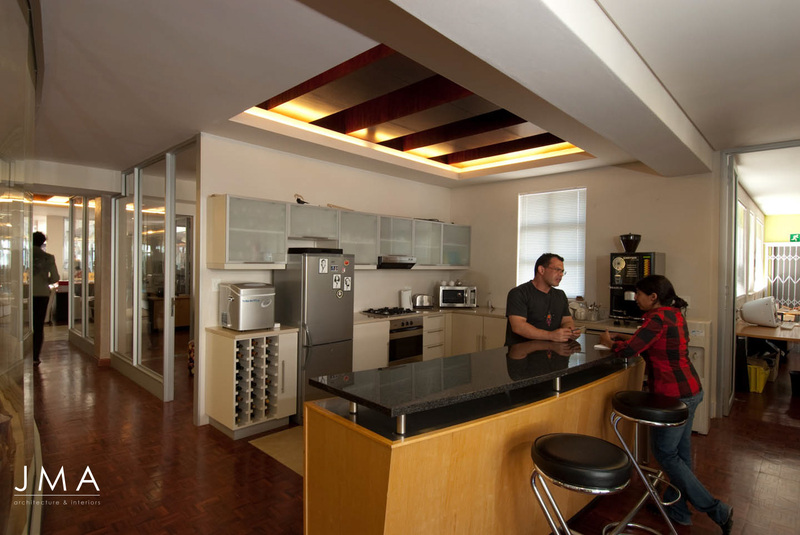 Various techniques were used to create spaces which fulfilled the company's needs. Glazed partitions were used to sensitively create quiet while maintaining the concentration required by some of the “cells” in the business. 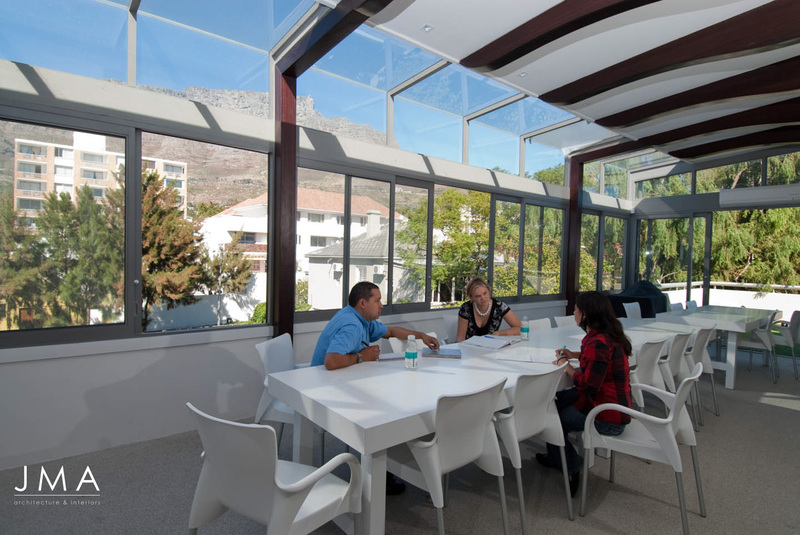 The outdoor green space and recreation conservatory provides a place to chill out and relax in between the long working hours. 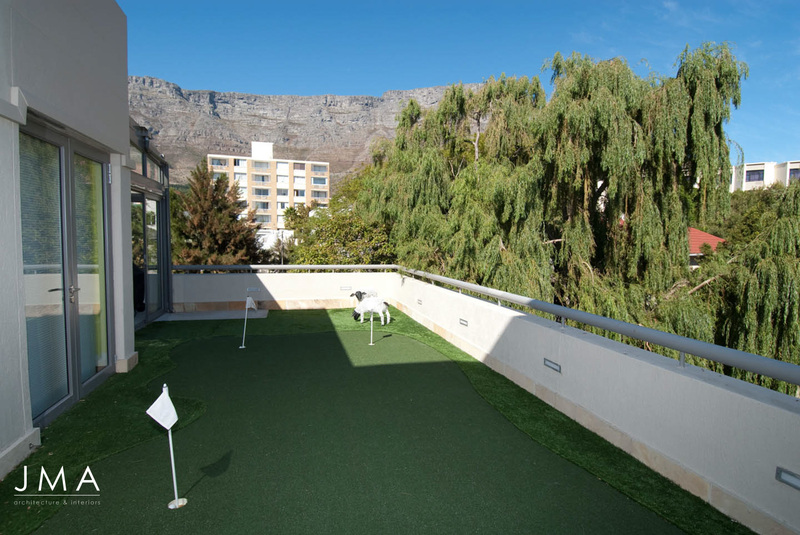 The conservatory has good views of Table Mountain along with the MD’s “cell”. This gives everyone an opportunity to appreciate the beauty of the city. It is inspiring to have been part of this process and... watch their space!